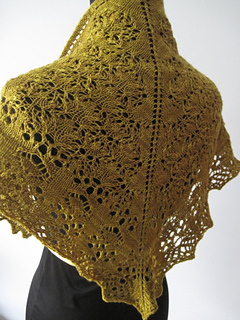 Belle Haven is worked from the top down. 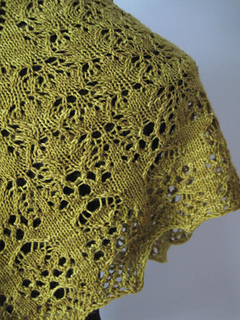 The instructions are both written and charted. 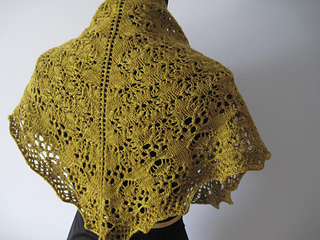 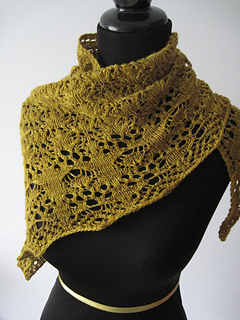 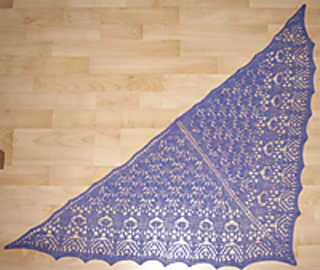 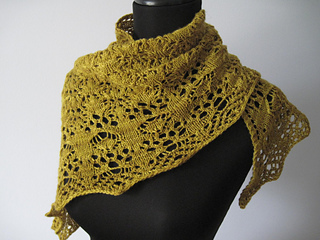 Lace is worked on both right and wrong side of the shawl. 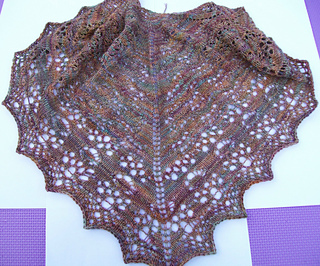 Pattern was part of the Knitting Like Crazy Mystery Shawl KAL in March 2012.